Michael highlighted the importance of developing individual leadership skills within the structure of a team project, because each fellow will inevitably step into that role at some point, leading two other members of their team. After an overview of the five practices they will be learning over the next 10 weeks (Model the Way, Inspire a Shared Vision, Challenge the Process, Enable Others to Act, and Encourage the Heart), fellows worked individually to answer questions about their project ideas. Then they met in groups to discuss new insights about their TSPs and their own views of themselves as leaders. Each group was given a Project Launch Template to help teams organize their thoughts around their project. The template — aligned to concepts of the Getting Things Done® time-management method — was created with input from the method’s creator, David Allen, author Dave Lakhani and U.S. Air Force Maj. Gen. Randal D. “Randy” Fullhart. It asks groups to articulate such components of their project as to its purpose and the group’s own principles. Teams envision the outcome of their project, brainstorm, and then organize a few major components of accomplishment. Documenting the next action step that will move their project forward follows this. Sarah Bertucci, who is another member of the PDC team, joined Michael to share information with instructional fellows about plans for weekly Teaching Learning Convenings (TLCs), and teacher licensure this trimester. 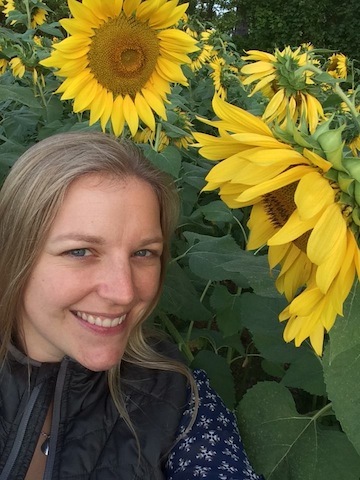 All fellows who teach in the classroom will participate in a Lesson Study, which utilizes video and observation to solicit reflection and feedback. Separately, I met with Joi Ward, (our 2015/2016 Health, Wellness and Counseling Fellow), Aranda Salazar (our 2015/2016 Residential Life Fellow), and Mia Stroutsos (our 2015/2016 Professional Development Center Fellow), to brainstorm ideas about enhancing the quality of evening duty on our mountainside campus here in Estes Park. For our last activity before lunch, Jacques Fournet, Eagle Rock’s Residential Life Coordinator, prepared fellows for a board-breaking activity that we would complete at the end of the day. Jacques asked fellows to think of obstacles in their life — what is standing in the way of their success — as well as goals they hope achieve. On inch-thick, 12-inch-by-12-inch squares of pinewood, all of the fellows wrote their goals on one side and obstacles on the other. Jacques described what is attainable once you expand your idea of what’s possible, and he demonstrated techniques to remain centered and focused. 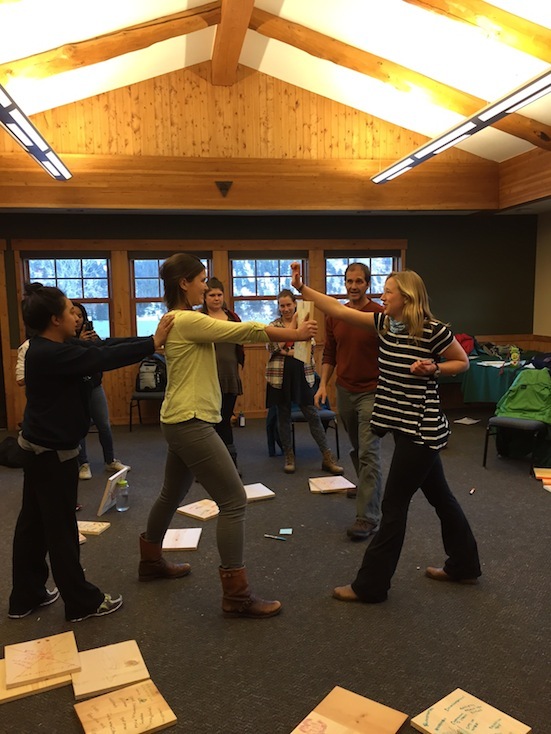 Fellows practiced their stance and focused energy, envisioning how they could reach through the board (and their obstacles), not simply exert force to try to break it. After a lot of practice, we put the boards aside to revisit at the end of the day. 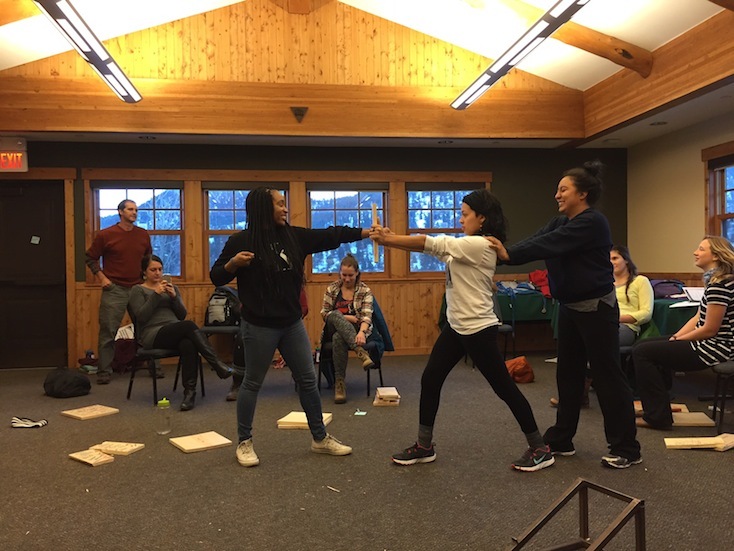 After a brisk walk to the dining hall, a delicious lunch, and a fun travel activity to get everyone excited for students to return (Eagle Rock School ABCs), we spent a little silly time playing a game, which also happened to challenge the group’s communication skills. However, the main team-building challenge of the day required everyone to silently gather materials they could use to achieve a shared goal: everyone in the group, somehow connected to one another, would need to be elevated six inches off the ground for 30 seconds. The task — which was accomplished with surprising speed, coordination and laughter — appeared to be an easy challenge for this group, but the activity lent itself to a very insightful group debrief afterwards. Fellows then had the chance to take some solo time to consider what themes were emerging as they thought about ER 68 (the 68th trimester in the history of Eagle Rock School). Each person wrote down a couple of those themes anonymously, and we displayed them all together in a circle for the full group to process. When Jacques returned at the end of the day, fellows were hyped with anticipation for the board breaking. 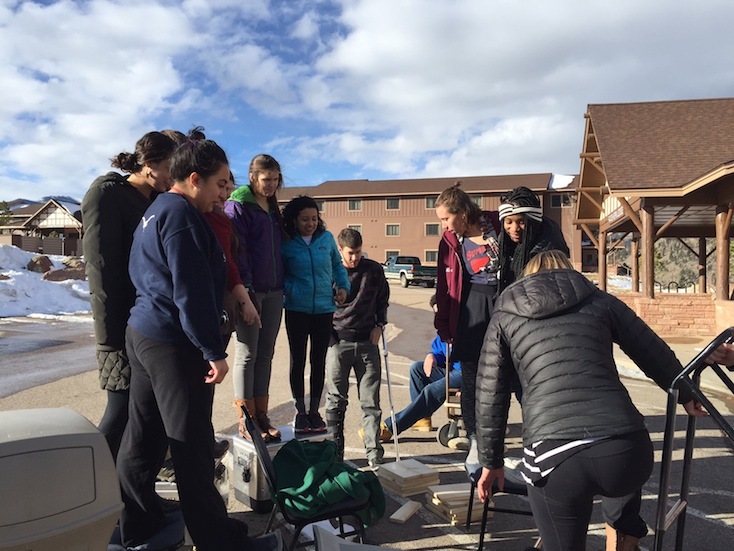 Everyone had the opportunity to break a board — either with their hand or foot — while the rest of the group watched and cheered. Our 2015/2016 Human Performance Center fellow, Chris Iafrati, expressed afterwards that he was captivated by the activity because of “how invested [he] was in everyone’s success.” The symbolism of this activity, and the heightened energy around supporting one another, will hopefully carry the group successfully into trimester 68. 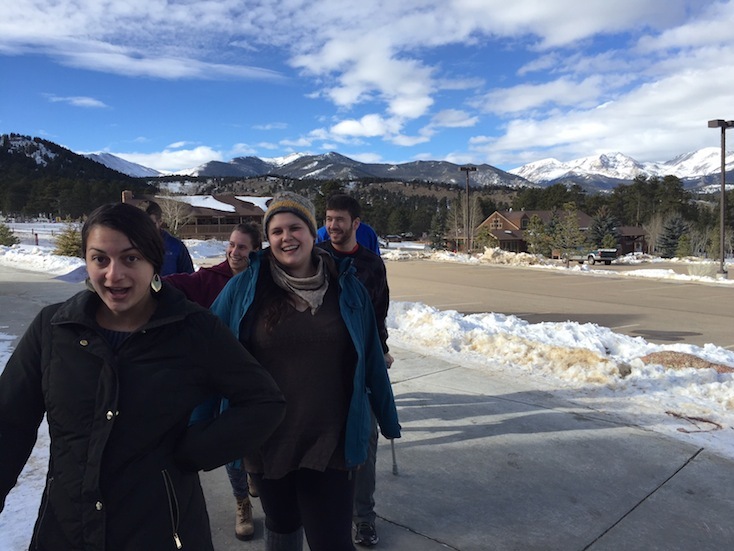 Our Mid-Year Fellows’ Day Away concluded with a stop at Cables Pub & Grill in Estes Park for happy hour, where fellows joined other Eagle Rock staff to share details about the day and enjoy each other’s company. Editor’s note: If you’d like to know more about the Public Allies Fellowship Program at Eagle Rock — which provides 12 individuals with an advanced yearlong service and leadership development program focused on education and youth development here at the nationally recognized Eagle Rock School and Professional Development Center — please visit http://www.publicallies.org/eaglerock. Applications for our 2016-17 fellowship are due March 1, 2016! This entry was posted in Public Allies and tagged Aranda Salazar, Chris Iafrati, Christi Kelston, Dave Lakhani, Dave Lakhani and U.S. Air Force Maj. Gen. Randal D. “Randy” Fullhart, Getting Things Done, J. Jacques Fournet II, Joi Ward, Leadership Challenge Framework, Mia Stroutsos, Michael Soguero, Teaching Learning Convenings.